This blog includes information for food tech startups & entrepreneurs. 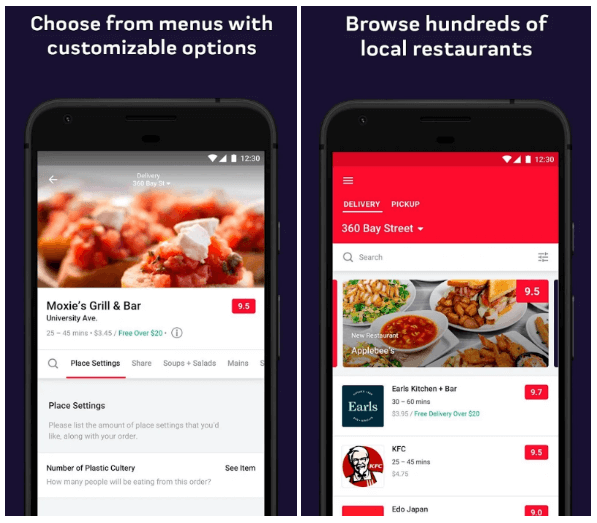 Curated a few powerful solutions by SkipTheDishes to consider during food & drink app development. For ordering meals, brick-and-mortar is a thing of past. Nowadays, people prefer to order food online due to convenience and huge discounts. 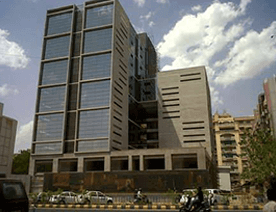 Shifting people’s taste from brick-and-mortar to online, it’s all credit goes to mobile apps! As the mobile app users are growing, these mobile app categories will remain on trend in the future as well. 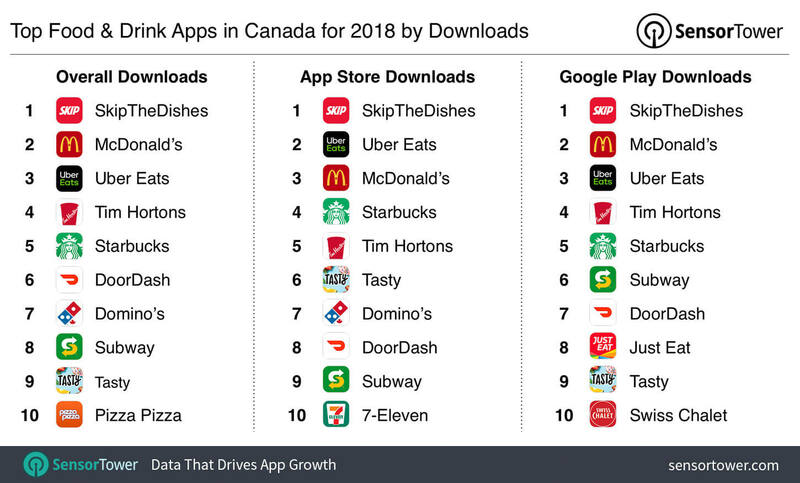 So, picking up the food & drink app category, there is an app for food & drink named SkipTheDishes, which has become #1 food & drink app in Canada, according to the report from Sensor Tower’s Store Intelligence platform. With 2 million installs, SkipTheDishes app has become #1 food & drink app by downloads. However, McDonald’s was the second most downloaded app for ordering food & drink along with around 1.8 million app installs, followed by Uber Eats, Tim Hortons & Starbucks. 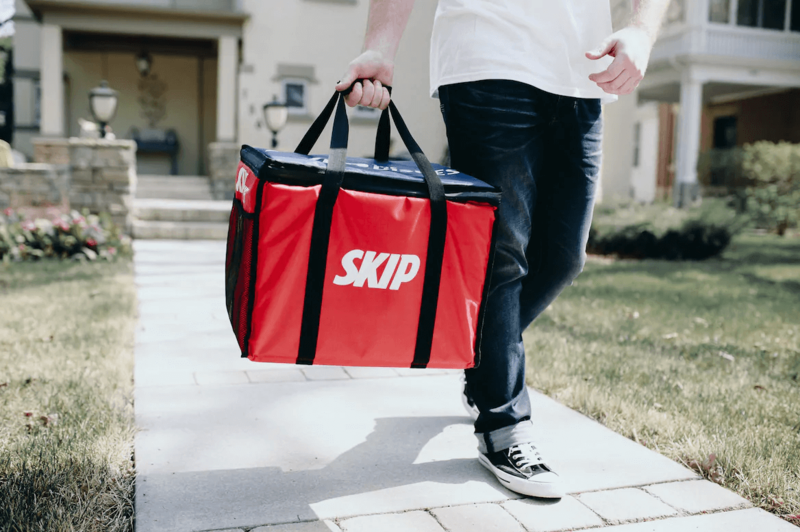 Basically, SkipTheDishes is a North American technology company, which connects people to local restaurants and food couriers. 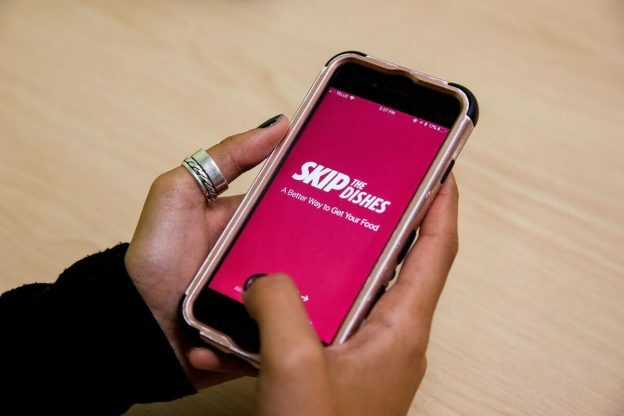 The app for ordering food & drink, SkipTheDishes, was launched in the year 2013. SkipTheDishes is headquartered in Winnipeg, Manitoba. 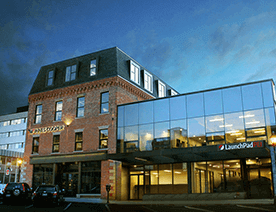 And, this Canadian Technology company was founded by Chris Simair and Joshua Simair. 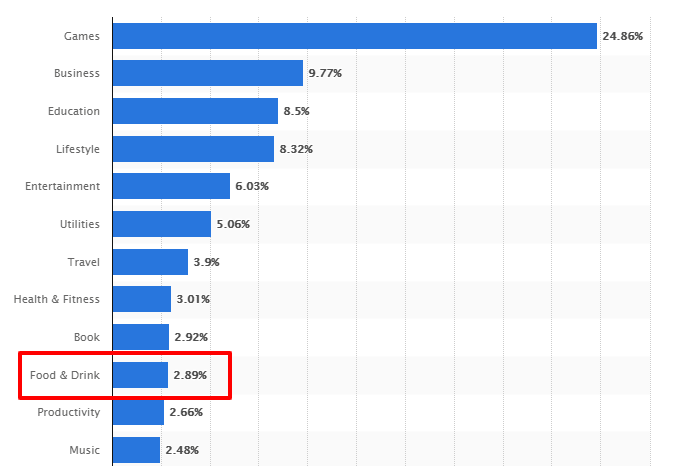 In this graph, you can check the download rank of SkipTheDishes across the Apple App Store in the United States. 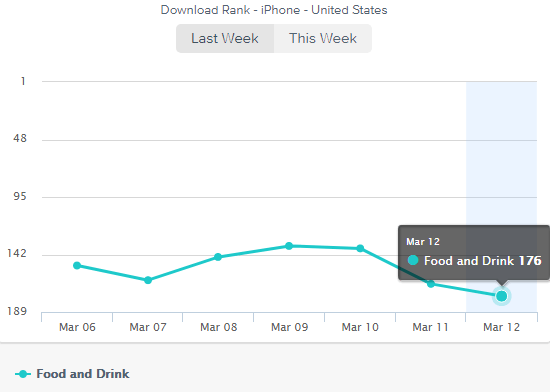 You’ve read a few things about the most downloaded apps in the food & drink app category. To make things more easy for you if you have made up your mind to build food & drink app, we’ve curated a list of powerful solutions by SkipTheDrive, which you can also include while creating an app for food & drink. 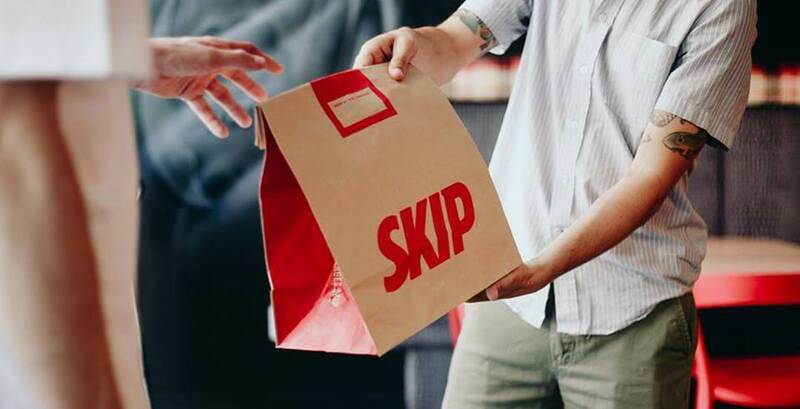 What Are Those 3 Powerful Solutions by SkipTheDishes to Create an App for Ordering Food & Drink? 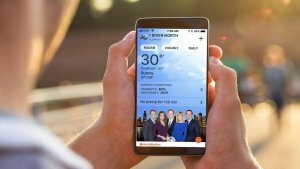 For better results, do not underestimate the potential of an ideal food ordering app that provides a seamless ordering experience. The thing is that how will you be able to achieve that seamless experience? The simple solution is that you need to embrace a set of features and functionalities whilst creating an app for ordering food & drink. It is important to consider a functional and engaging platform where your users can order without being puzzled. To develop an on-demand food ordering app for your business, one of the main things, which you need to take care of is its quickness and convenience. 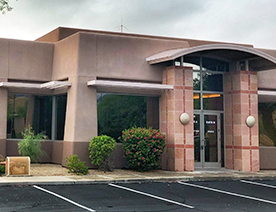 Furthermore, this is not a matter of one time; however, this is a long-time affair to keep providing quick and convenient services to your end users or customers. To get a pace in your food ordering experience, you need to offer convenient services to your customers, which help them to stay longer with your business. The prime purpose of food & drink app is to make it accessible for food seekers. By considering such a powerful solution, it converts your clients to long-time customers. If you have ever thought of developing a food delivery app, then such a feature can easily go with your food & drink app in order to make stand out. Allowing your users to schedule their orders on-the-go can help them to deliver better food ordering experience to your users. It also helps you to retain your customers for a long time. All you just need to consider a feature, which allows users to place orders for food & drink on-the-go. Well, this handy feature makes users get their food orders at any time and anywhere. This is a necessary feature, which you need to embrace during food & drink app development. 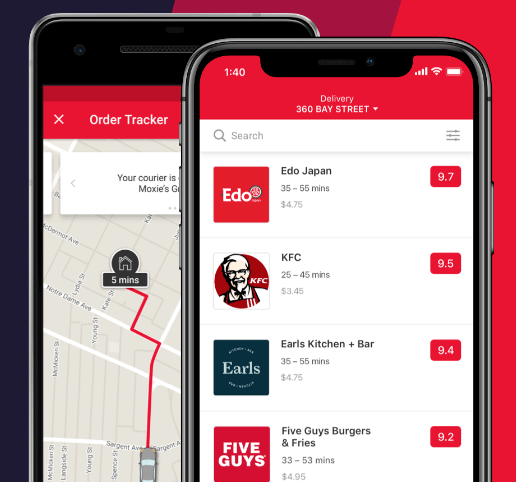 If you have already made up your mind to create an app like SkipTheDishes, you need to consider such a basic yet powerful solution in order to stay longer with your mobile app by putting minimal efforts. You’ve just read a few powerful solutions by SkipTheDishes, which was #1 food & drink app in Canada in the past year i.e. 2018. Before diving into this niche, we’ve decided to make you aware of the ongoing trend of the keywords such as food ordering app & food delivery app. Well, both keywords are high in search volume. According to the latest report from Google Trends, check out the graph, which is exponentially growing over time. 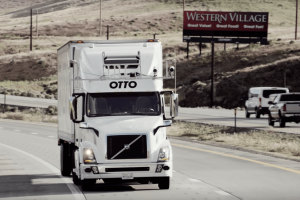 It means that food ordering & delivery business has a greater chance to grow in the future. This is what you can check in this graph. Interest Over Region: Talking about the hottest regions in food ordering & delivery apps are India, United Kingdom, Australia, Canada, and UAE. If you are ready to develop food and drink app like SkipTheDishes, then it is safe to say that people are still looking for an ideal food ordering & delivery app to get the services to rely on. 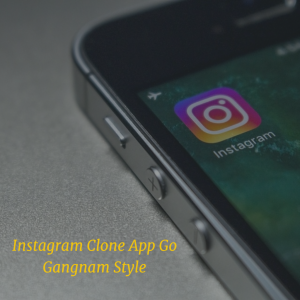 If you want to share an app idea based on food ordering & delivery app, then you can cross-verify it with us as we’re a leading iOS/Android app development company. 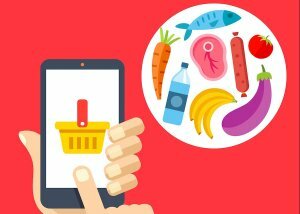 And, we’ve already developed over 50 on-demand food ordering apps like Postmates and Zomato along with unique features and functionalities. In case, if you still have any query or confusion regarding development of a mobile application, how long does it take to make an app like SkipTheDishes, the average cost of developing an app like Zomato, Indian app developers cost for developing food & drink app like SkipTheDishes or what is the right way of hiring mobile app development companies, then you can get in touch with us through our contact us form. One of our sales representatives will revert to you as soon as possible. The consultation is absolutely free of cost. This page was last edited on April 3rd, 2019, at 8:36.